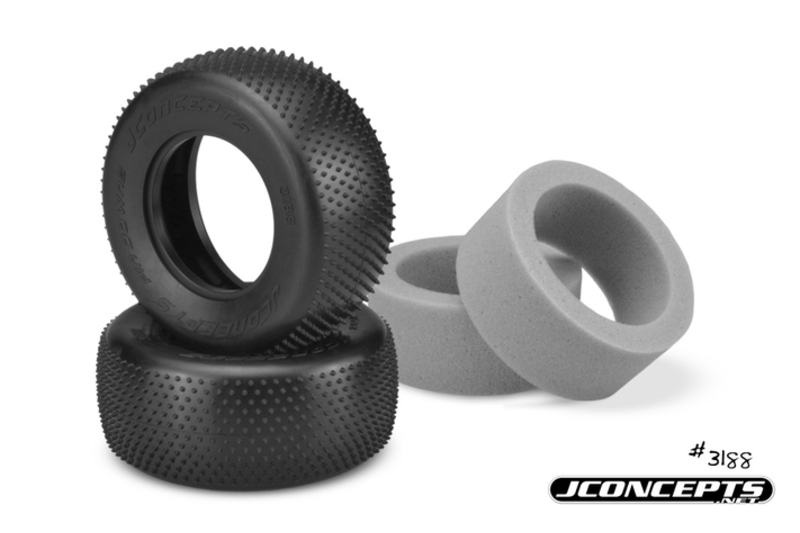 JConcepts re-invents the pin style tire with the release of the Pin Downs. The Pin Downs feature a pin spiked tread, which is directional for added performance and stability. The directional nature of the pins were positioned to allow broken-in type pins to grip the surface in one direction, while the pins are more upright when oriented in the opposite direction. The bottoms of the pins have heavy radiuses which allow the pins to wear more consistently and not tear or rip off the carcass prematurely. 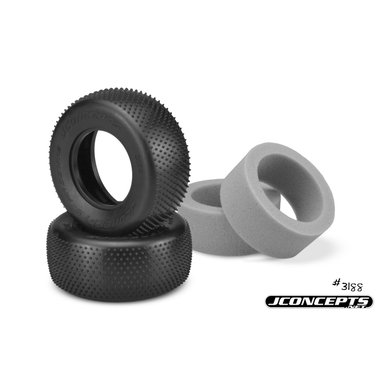 The tires are designed for the industry standard SCT wheels, available from JConcepts with part numbers 3344 (AE) and 3352 (TLR). JConcepts performed an extensive amount of testing with the new tires with key drivers. Jason Ruona, Spencer Rivkin, Kody Numedahl, JR Mitch, Joona Haatanen, Alex Kosciuszek, Kyle Layton and Malin Karlsen all gave the new tires tests for speed, durability and consistency and the new tires passed with flying colors. The hottest new off-road Carpet and Astroturf tires are now available to the public for the first time.